RELIABILITY. PERFORMANCE. INNOVATION. The essence of Yamaha outboard motors and why so many Kiwi boaters won’t trust anything else out on the water. Yamaha Marine has operated in New Zealand for over 30 years. In that time, its engineers have become renowned for the relentless pursuit of a more satisfying boating experience for its customers. As a result, Yamaha Outboards have become synonymous with innovation, performance and legendary reliability. They’re the first choice of many commercial operators, volunteer associations such as Coastguard, harbourmasters nationwide, various government departments, not to mention many grass-roots clubs and groups enjoying time on the water. Yamaha will also continue to be the official supplier of outboard motors to Emirates Team New Zealand at the 36th America’s Cup in 2021. For Yamaha, boating is a passion, a constant mission to innovate and bring its customers the best. 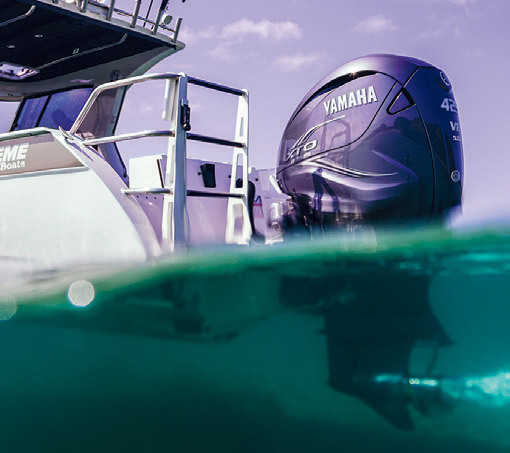 As a truly Trusted Brand, Yamaha focuses on developing durable and high-quality outboards that customers can rely on, allowing them to return from every marine adventure swiftly and safely. For more information, visit www.yamaha-motor.co.nz/products/marine/outboard.